When fashion week arrives, there's a heady buzz that fills the atmosphere. The backstage area is filled with post-show glee, the flashbulbs are flashing at a million miles an hour and everybody who is anybody is dressed to the nines. A week prior, when I was planning my fashion week wardrobe, I knew that I was bound to be busy. For a beauty editor at Lakmé Fashion Week, it's a juggling act of interviews, show and shoots. Keeping with my style sensibilities, I decided to play my favourite athleisure card since I knew it would get me through to the fashion week finishing line while looking amazing. 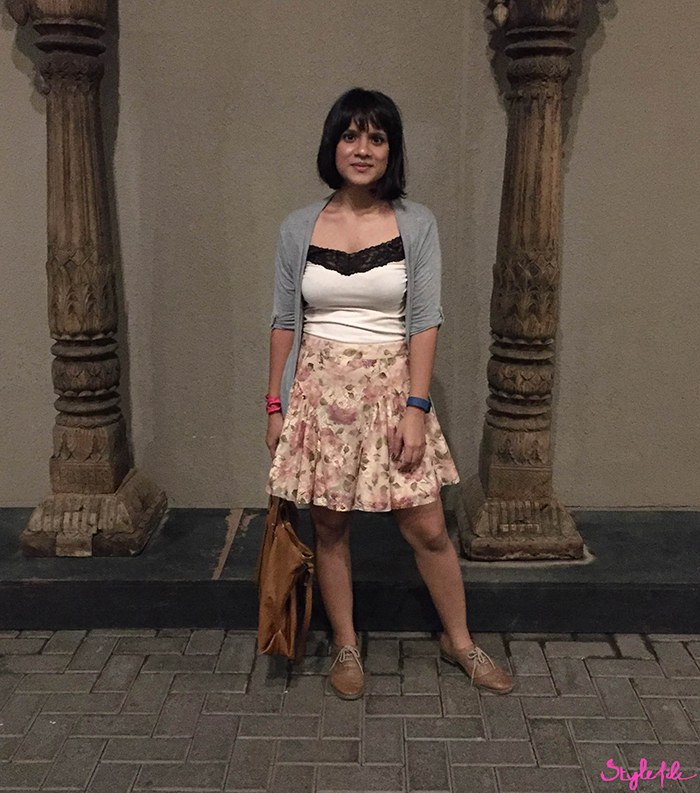 Here's a daily diary of what I wore to the Lakmé Fashion Week. On day 1, I was raring to go and anticipating a lot of action, so I opted for light washed jeans with a DIY patchwork t-shirt. To balance the sportiness of the look, I paired it with a sleek bob and red lip. 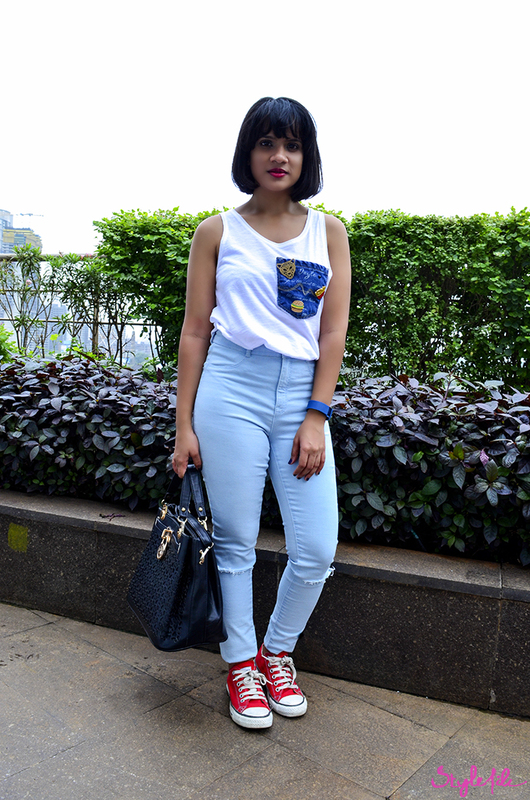 Day 2 of fashion week was spent at a shoot hence, comfort was key to me while I intended on dressing a little girly. To serve both purposes, I paired a tulle skirt with sturdy oxfords and a large tote to get me through the day. The midway mark of day 3 brought out the excitement in me. That's when I styled my favourite look of this season which involved my dream shoes and one of my favourite cartoon characters. I kept my bob straight and went with a coral lip. I've always love both sportiness as well as femininity so on day 4, I decided to mix them together. For this, I went for a light, fresh look that was trendy by pairing a frilly maxi skirt with white kicks and keeping the rest of the look muted. By the 5th day of fashion week, I decided to power through by keeping it bright. 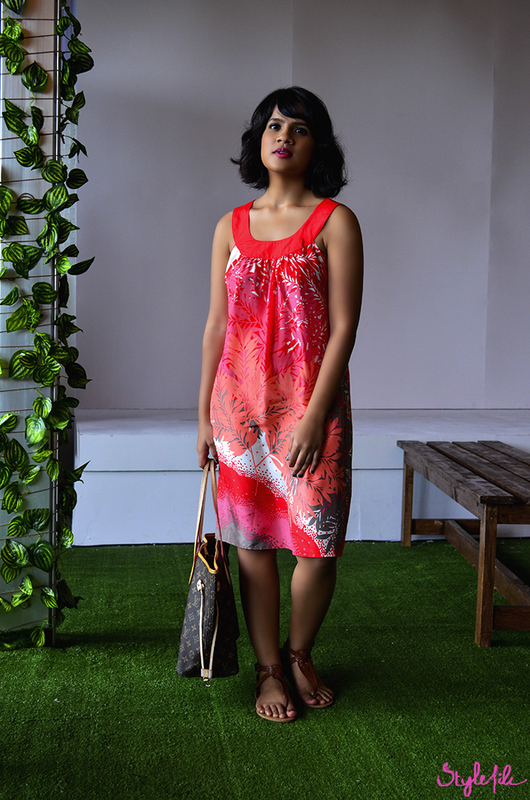 For this, I wore a simple yet vibrant dress which I complemented with neutral accessories, loose curls and a bold lip. Just what I needed to complete a manic, fashionable week in style! I'm pretty sure you've guessed my favourite look at Lakmé Fashion Week so which one did you like the best? Up until a few years ago, skincare was around number three on my list of beauty priorities. Somewhere down the line, an unexpected breakout on my relatively clear skin made me sit up and take notice. Many dermatologist visits later, skin shot up to number one on that priority list. This was followed by my face hogging all the attention, which is when I learned that I had oily skin. Now if you're a slick faced lady like myself, you'll know that it definitely isn't easy like a Sunday morning. In fact, it is more like a treacherous Tuesday from where you can see the weekend but it isn't even close. Yes, if skin types were days of the week, oily skin would be Tuesday. It gives you hope of a clear face but the greasy texture and unexpected blackheads always seem to cloud that vision. Girls with greasy skin, you feel me. It can seem like an unending cycle of washing, moisturising and blotting. Between complex routines and new techniques that I could barely wrap my head around, I wondered if I'd ever be able to manage my oily skin. And there was my answer to this greasy conundrum - exfoliation. It was so simple and easy; and yet, I hadn't even considered it. Imagine if you will a surface that needs a refresh, stat. The most natural course of action would be to get scrubbing to give it a brand new look, right? Then why should it be any different for our skin? 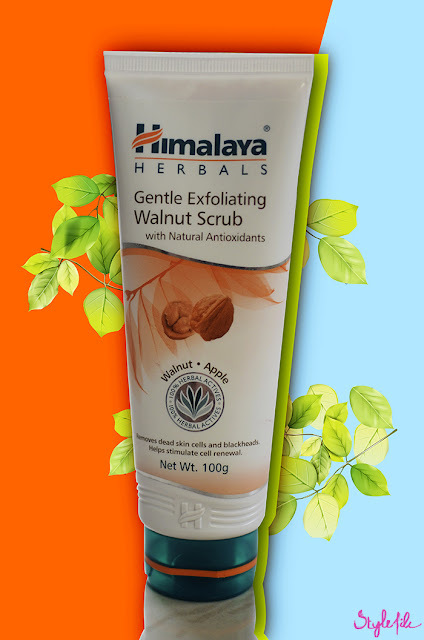 That's when I discovered the Himalaya Gentle Exfoliating Walnut Scrub. Arriving in my life when I needed it the most, it felt like it had been dropped straight from the heavens. Powered with Crab Apple, Wheat Germ Oil and Walnut Shell, this product is a powerhouse of talent. The greatest apprehension I had with a face scrub is that it should be gentle on my skin even while scrubbing. 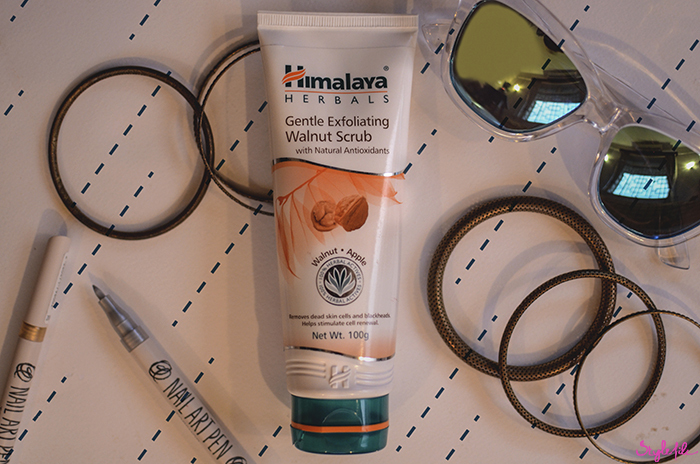 I'm glad to report that the Himalaya Gentle Exfoliating Walnut Scrub does just that with its potent trio of key ingredients. The Crab Apple soothes away any skin inflammation and stops the degradation of cells. The Walnut Shell micro-particles exfoliate away the dead skin cells while keeping the blackheads at bay. And while the skin is being scrubbed, the Vitamin E and natural Anti-oxidants within the Wheat Germ Oil care for it. All it took was a few washes to scrub away any apprehensions I had about exfoliation. While the Himalaya Gentle Exfoliating Walnut Scrub left my skin visibly and physically different, it made sure to leave it tender. The texture of the scrub feels gritty within my fingers but not abrasive; an important aspect which makes all the difference when exfoliating. That's how it goes into the pores to unclog any residue and build-up for blackheads to be kept at a safe distance. Along with face washing, my skin longed for more and that's just what it got. With soft, happy skin, I couldn’t be thankful enough! If you're looking to get unbelievably soft, smooth skin, don't spare another second and visit the Himalaya website, Facebook and YouTube pages. Through the years, I've adored and idolised many great women and their style sensibilities. From Lauren Conrad's SoCal vibe to the Gossip Girl's immaculate style, I find personal style icons in the unlikeliest of places. I spot them in the midst of TV shows, glossy pages and retweets and recently, a lady that has got my attention is Zendaya Coleman. I discovered Zendaya at a rather odd time - right in the middle of a controversy. While I thought she looked divine among the sea of beautiful people on Oscars red carpet, it was the reaction to her look that sparked a fire. But it was her confidence and the way she eloquently shut down the critics that caught my eye. The more I discovered Daya, the better it got. She was a blazing hot streak of style and support that encouraged positiveness all around. 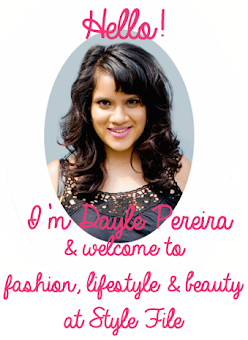 There's no doubt about it - Daya is a gorgeous girl. Whether she is suiting up with elan or frolicking in ruffles, there's no look that this fashion queen cannot pull off. But what made me sit up and notice Zendaya wasn't just her immaculate sense of style; it was more than that. I think it was probably the reason why she caught my eye in the first place - her forthrightness. Admittedly, even at just 19, Zendaya has seen her fare share of controversy and has come out standing strong. The critics tore down her mullet hairstyle and the haters tried to body shame her for being too bony or too thick but Daya would have none of it. She responded with positive messages, flawless photos and a smoking hot dose of sass. No wonder she's known as the queen of clapbacks. 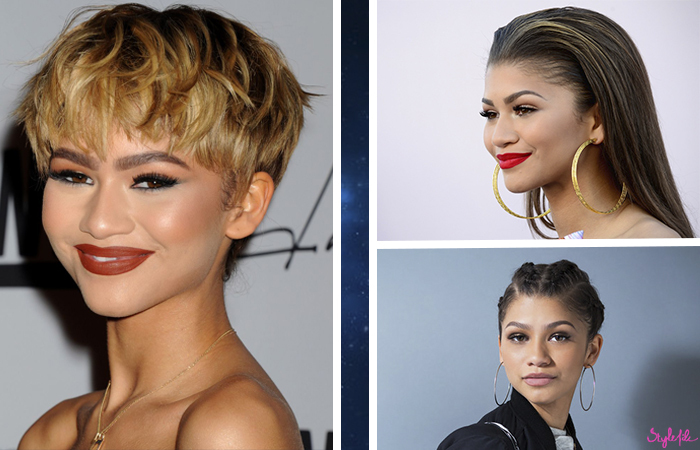 From shooting to fame as a Disney star, Zendaya has come a long way. Once she debuted on television, she went on to lend her voice to movies and make guest appearances on them. This was followed by signing a recording deal to release a debut album and a video which received millions of views. Soon enough, her background in dance and theatre propelled her to take the stage on Dancing With The Stars. Daya is also a published author and has launched Daya By Zendaya which is a women's footwear line that is inspired by her own closet. 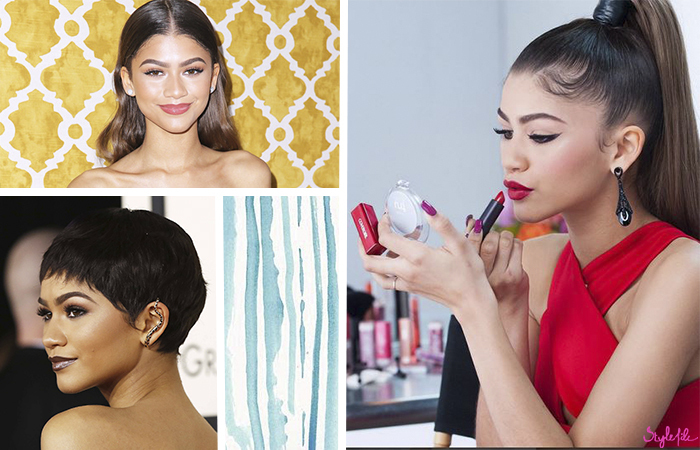 When it comes to the beauty sphere, even in her teens, Zendaya is a force to be reckoned with! I'd term her as a style chameleon - blink and she'll be sporting dark matte lips and a slick ponytail. Blink again and she's in hoops and sultry red lips. Even while constantly experimenting, this glamazon tilts towards the look of luxe fashionista and looks chic beyond her years. If there was ever a risky trend no one wanted to take their chances on, Daya would be the one flaunting it with panache. Ear cuffs, defined brows, dramatic talons and cornrows are just a few of the looks that she sports gorgeously. 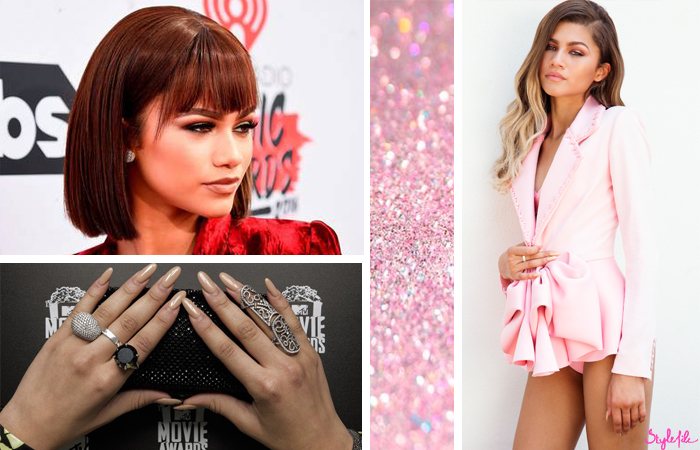 If there was ever a role model that combined fierceness, positiveness and style in one body, Zendaya is the girl for the job.